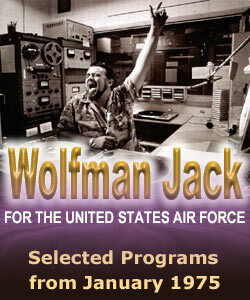 Here's a quick mix of two Wolfman Jack for the USAF programs from January, 1975. No musical surprises, but Wolfman is always surprising. Enjoy!